Thousands of veterans and current military service members may be entitled to financial compensation for hearing loss and tinnitus caused by defective earplugs. The Combat Arms Earplugs were manufactured and sold by 3M to all 4 branches of the U.S. military. 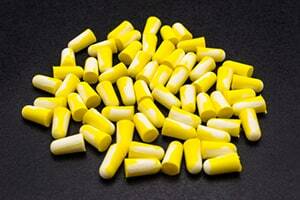 3M has manufactured and sold an earplug called Combat Arms. Originally developed by Acero, 3M bought the company in 2008. This makes 3M liable for the conduct both before and after 2008. Combat Arms uses a sound channel with constrictions and openings to produce a non-linear sound attenuation effect. The idea of Combat Arms earplugs was people exposed to loud noises to set the earplug to a second mode of operation by, for example, inserting a plug into the channel. This way the earplugs function like a normal fully blocked earplug. So if worn in the open or unblocked position, the earplugs are intended to significantly reduce, loud impulse sounds of battlefield explosions yet still allow the solider to hear quieter noises such as instructions or an approaching enemy. From 2003 to 2015 the Combat Arms Earplugs were standard issue equipment that was supposed to protect service members from hearing loss. 3M has recently admitted, however, that the earplugs were defective and actually did nothing to protect soldiers from damage to their hearing. This means that anyone who served in the military from 2003 to 2015 and suffered hearing loss or damage has a potential product liability lawsuit against the earplug manufacturer 3M. The Combat Arms Earplugs were also sold to the general public. This means potential plaintiffs against 3M will also include people like police officers, industry workers, or others who relied on 3M's defective earplugs for protection. Service men and women in the military are often exposed to very loud noises from things like aircraft, artillery, guns, and explosives. Without some sort of ear protection, exposure to these types of high-level of noises on a regular basis will cause internal damage to the eardrums. Internal damage to the eardrums causes tinnitus - which is total or partial of loss of hearing. In an effort to protect its soldiers the U.S. military contracted with 3M to supply protective earplugs. The Combat Arms Earplugs (Version 2) were advanced foam earplugs that were supposed to protect users by filtering peak level noises. 3M's earplugs dual sided. One side went into the ear to dampen peak level sound waves from things like ordinance fire and explosives. The other side of the earplug was designed to sit just outside the ear canal to act as a filter blocking continuous high-level noises from things like aircraft and vehicles. Unfortunately, the Combat Arms Earplugs had a design defect that rendered them completely ineffective at blocking sound for some users. The problem with the Combat Arms Earplugs is that side that was supposed to fit into the ear canal was not too short and not properly shaped. As a result of this subtle design flaw, the earplugs did not properly fit into the ear canal. Almost immediately after the plugs were inserted into the ear they would loosen leaving the user entirely unprotected from damaging high-level sounds. What made this problem worse is that users frequently did not even realize that the earplugs were loose. Many service members wore the Combat Arms Earplugs on a daily basis for years not realizing that they not actually protecting their eardrums from damage. Thousands of military service members may have permanent hearing damage as a result of 3M's failure to disclose the design defect with the Combat Arms Earplugs. For 12 years countless military personnel exposed themselves to extreme noise levels thinking that their Combat Arms Earplugs were protecting them. Most of those individuals were not being protected at all by the defective earplugs and ended up suffering permanent loss of hearing. These individuals can now sue 3M and demand financial compensation for the damage to their hearing. 3M's Combat Arms Earplugs were not exclusively used by the military. The defective earplugs were also sold to the public and to law enforcement and other industries. Hundreds of police officers or sportsman relied on the Combat Arms Earplugs to protect their hearing at the target range or training ground. These individuals were equally unaware of the design flaw and may have suffered hearing damage from using the earplugs. These individuals are also entitled to bring claims against 3M. Lawsuits against 3M regarding the defective Combat Arms Earplugs are just starting to get filed so we are in the early stages of developing an understanding of how much these Combat Arms cases will be worth. We can get look at hearing loss damages awarded in other types of cases to get a general sense of the potential settlement value of the earplug cases. Below are recent jury verdicts and reported settlements in other cases in which the plaintiff's primary injury was tinnitus or hearing loss. Based on this small sampling of cases the average value of a claim for partial hearing loss seems to range from $50,000 to $300,000 depending on the severity. We believe that the average value of hearing loss claims in the Combat Arms earplug cases may be notably higher than this. Most of the sample cases below involve car accidents where settlement values are typically lower because of max limits on the applicable insurance policies. 3M is one of the largest manufacturing companies in the world so there won't be any insurance limits. Moreover, the prospective plaintiffs in these cases will likely be highly sympathetic military veterans or police officers. Of course, at this point, we are all guessing about the potential value of these claims. But we are bullish on them because the liability case - the ability to blame the defendant for the harm - looks to be very strong. Here are some sample cases with tinnitus as the injury. Do these tell you the settlement value of the Combat Arms Earplug lawsuits? Of course not. They are just one source of our speculation and about the possible amount of individual settlements in these earplug cases. Are we really just guessing because the litigation is new? We are. Madison v GEICO (Washington 2017) $63,555: middle-aged male plaintiff gets rear-ended by a large SUV on I-5 in Seattle and claims permanent tinnitus as a result of the accident leaving him unable to fully perform his job. He settles his claim against the at-fault driver for policy limits of $25,000 and goes after his insurer, GEICO, for UIM benefits. GEICO refuses to settle and a jury ends up awarding $63,555 in total damages for the hearing loss. Danelin v Gretchen (Washington 2013) $83,000: unemployed 43-year-old woman is living in a rental house when an improperly installed ceiling fan falls off and hits her in the side of the head. She suffers a temporary loss of hearing and some permanent tinnitus. She sues the landlord for premises liability and the case settles for $83,000. Deland v Eldridge (Tennessee 2010) $120,000: 49-year-old mail carrier is on her delivery route when her mail truck gets rear-ended causing her to strike the side of her head against the door. Despite minimal vehicle damage, she claims that the accident caused her to suffer small asymmetrical hearing loss and tinnitus. She claims that the tinnitus interferes with her ability to sleep and her normal daily activities, but the defendant disputes the extent and severity of her hearing loss. Jury awards total damages of $120,312: $30,000 for past pain and suffering; $25,000 for permanent impairment; $25,000 for future loss of ability to enjoy life; and $30,312 for past and future medical expenses. Vanhuess v Strickler (Utah 2009) $45,000: 12-year-old girl allegedly suffers permanent damage to her hearing when .357 magnum pistol accidentally discharges near her ear while she was a passenger inside a van. Liability is admitted but the defendant strongly disputes the extent of the alleged hearing damage and the case goes to trial on that issue. The jury in Salt Lake City finds that girl did suffer hearing damage but not to the extent that she claimed and awarded only $45,000. Castle v Rude (California 2007) $231,000: 29-year-old male recording engineer allegedly suffers tinnitus from the sound of his airbag deployment after being broadsided by the defendant at an intersection. Liability was admitted but the defense contended that the tinnitus was caused by previous exposure to loud noises, such as music, shooting guns, and driving snowmobiles. The jury agrees with the plaintiff and awards total damages of $231,000 which only includes $11,000 for medical expenses. On January 25, an earplug victim filed a motion asking the U.S. Judicial Panel on Multidistrict Litigation (JPML) to consolidate all defective earplug cases to U.S. District Court in Minnesota for coordinated pretrial proceedings. This is called an MDL which is a "sort of" class action lawsuit for pre-trial discovery purposes. This is the first step in the hopes of a favorable global earplug lawsuit settlement with 3M that would give victims compensation without ever having to go to court. If you used 3M's Combat Arms Earplugs in the military or as a civilian and suffered damage to your hearing you may be entitled to financial compensation for your injury. Miller & Zois is currently looking for potential 3M defective earplug plaintiffs. Contact us and we can investigate your case and tell you whether or not you may have a valid claim against 3M. Call us at 800-553-8082 or get a free online consultation. Who is eligible for compensation in Combat Arms earplug cases?